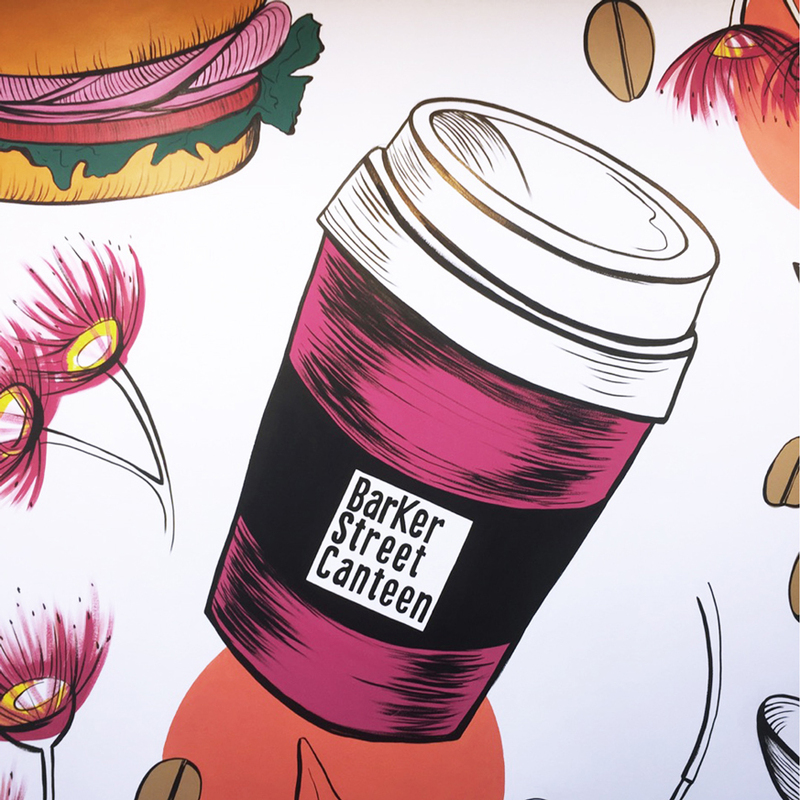 Some projects leave you grinning from ear to ear, and this mural gig for Barker Street Canteen was certainly one of those. Commissioned to bring life and colour to the cafe (that sits within Prince of Wales Hospital), Carly designed this beauty and executed it over the course of three days, much to the delight of passing patients. Yep, this one delivered a bigger buzz than a triple shot cap. Created by hand, with love.